From start to finish, the wonderful series premiere of The Late Show With Stephen Colbert was completely and totally entertaining. 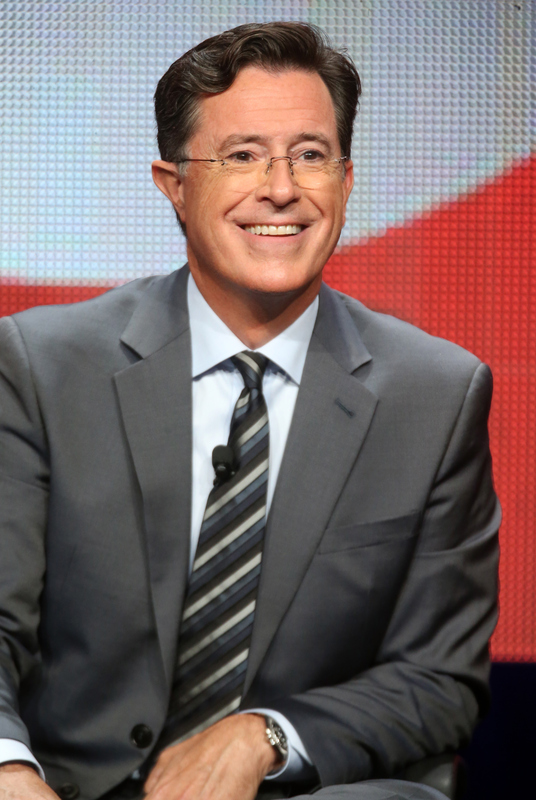 Not only did Colbert show audiences his true personality in his new late night talk show gig, he also had fantastic and clever banter with guests George Clooney and Jeb Bush, and he was able to strike a brilliant balance of weird and funny moments that felt like trademark Stephen Colbert. But what really put it over the edge into memorable was Colbert's first Late Show musical guest. The performance ended up being much more than he first advertised on his program and what a great surprise. We got to see amazing musicians come together with the iconic Mavis Staples to sing "Everyday People." From Aloe Blacc to Ben Folds and everyone in between, at least a dozen talented musicians took the stage to sing the classic record from Sly and the Family Stone. In fact, halfway through the musical performance, Colbert took the stage along with his musician friends to sing the rest of the song. Not only was the sound incredible (I mean, how could it not be with so many incredible instruments and performers working so beautifully together? ), it just looked like such a happy, sweet moment of people coming together like a family to celebrate this important moment in Colbert's life. It's the kind of joyful moment that you remember for years to come, and it's just the start of what's sure to be an incredible series.